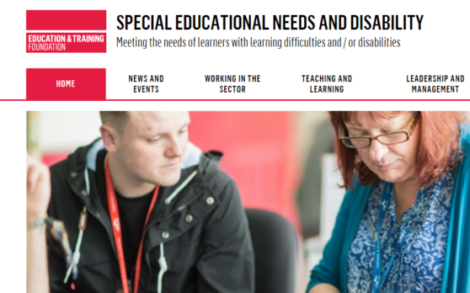 Over the course of several months, Natspec has been working closely with our associates and the ETF to create a set of toolkits aimed at SEND professionals responsible for curriculum planning in FE. Supported internships are incredibly valuable for young people with SEND to develop confidence, communications and key employability skills. Engaging employers from the outset isn’t always easy and straightforward for providers. Download a customisable leaflet which you can use to explain supported internships to employers. Learning support assistants are one of your most valuable resources in SEND provision – and the most expensive too, so effective use of LSAs is essential. We have put together an in-house development activity for tutors and LSAs to work through together, to help you make the most of the LSAs in your setting. Get access here. Competition activity is a great way to raise aspirations, improve learners’ skills and employment prospects, strengthen learning programmes and introduce an element of excitement into the vocational curriculum. We worked with ETF to compile the following information to use in your curriculum and activity planning. Get access here.